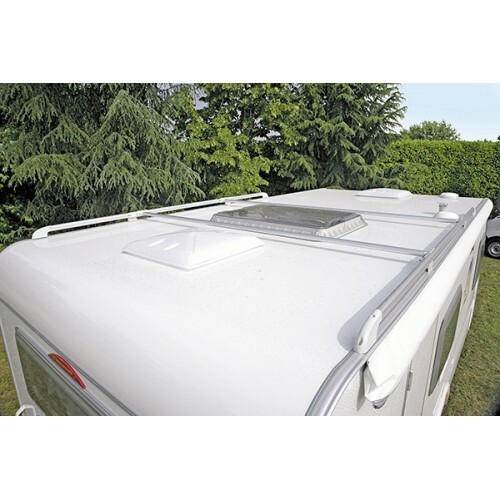 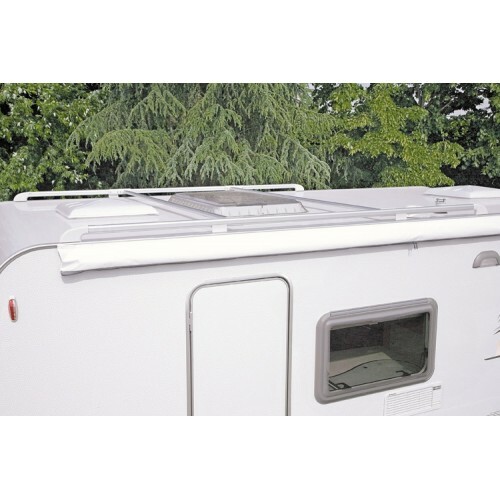 Luggage carrier system comprises 2 parametric bars easy to install on motorhomes and caravans. 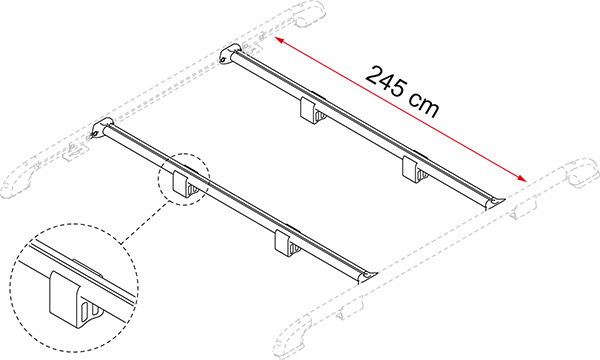 The aluminium anodized tubes are suitable for quickly attaching the optional Fixing Bar Rail. 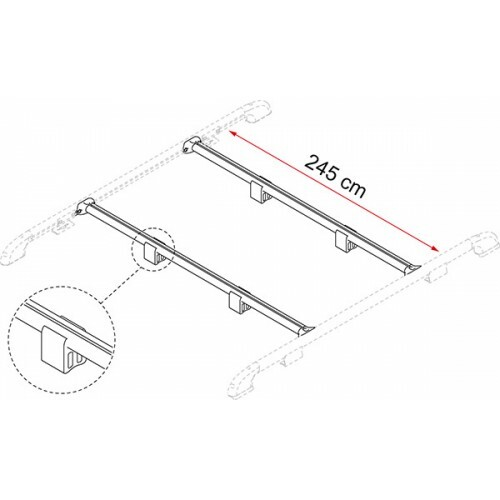 Easy to shorten. 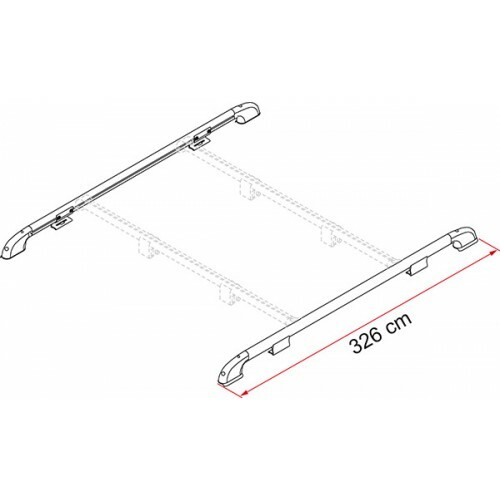 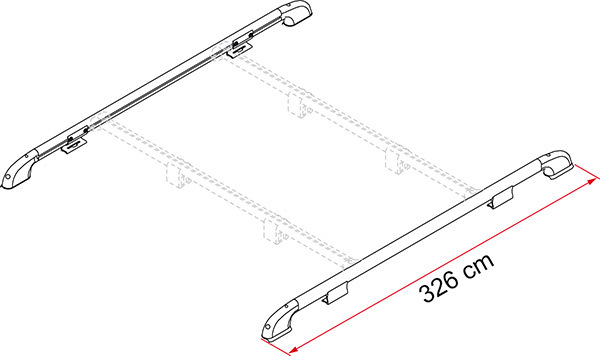 Aluminium carry-all bar easy to shorten. 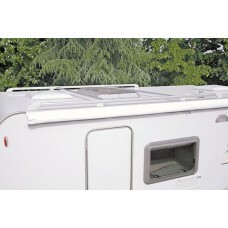 It can be easily used with Roof Rail without drilling the vehicle.